It seems like it’s a great time to be a film lover. With so many streaming services available, we’re no longer beholden to buying DVDs or renting movies from a store. Sure we have to pay subscription fees, but it’s amazing to theoretically have the best movies ever made right there on your computer, tablet, or phone any time you want to watch them. But how easy is it actually to watch classic movies online, with just the major services at your disposal? Recently, I decided to go on a Western film binge in the lead-up to the release of Red Dead Redemption 2. I’m in a Western state of mind, and I need a little John Wayne in my life. One of my favorite films is John Ford’s The Searchers, so I thought I’d start there, but I didn’t have the movie in my family’s admittedly vast collection of DVDs. So I pulled up Netflix and entered the movie title into the search bar. It wasn’t there, or at least it wasn’t available on my streaming subscription. No problem, I thought. I’ve got Hulu, HBO, and Amazon Prime. Surely it’s got to be on one of those, right? Disappointed, I moved on to the next movie on my list: Shane, which I’d never seen but which I’d heard good things about. Same result. None of my streaming services had it. One more time, I thought. I looked for Treasure of the Sierra Madre, which I was also excited to watch because it starred one of my favorite actors, Humphrey Bogart. Third time wasn’t the charm. I was frustrated and baffled. These aren’t some rare European art house films I’m searching for here. These are popular, highly acclaimed films. Why were they so hard to get hold of? And how many more classic films like them weren’t available on any of the four major streaming services? I decided to check. Just to give myself something to go by, I used AFI’s 100 Movies… 100 Years list. I think it’s a decently diverse selection of amazing movies — and any list that contains both A Night at the Opera and The Godfather is good enough for me. Also, the AFI has a checklist on its site, and I’m nothing if not a lover of shortcuts. In total, 24 of the movies were available, counting the slight overlap. That’s surprisingly few as far as classic cinema goes. I only found six out of the Top 10, and not a single site had the number one movie: Citizen Kane. Classic films aren’t just movies. They’re pieces of art history, and they’ve influenced so many movies, books, shows, and games to come after them. Heck, Red Dead Redemption 2 probably wouldn’t even exist were it not for the influence of films such as The Magnificent Seven, or Stagecoach, or The Good, The Bad, and the Ugly. It feels so odd to find they’re not as widely distributed as you’d think. I will admit a very large number of these movies are available to rent digitally on Amazon — not all, but a lot. But each one has to be rented for a modest price, say around $3.99. That’s about $350 if you don’t count the handful that aren’t available to rent. That’s a lot of money to spend on movies you don’t even get to keep. I’m already paying through the nose for a Prime subscription, so it seems unfortunate not to have more classics available straight off. Also, you only have a rented movie for a short period of time, and once you start it, you have to finish it within 48 hours. I’m reminded very strongly of Blockbuster. For the tadpoles out there who don’t remember, back in the day you had to pay a flat fee in order to keep a movie for just three days, after which you’d rack up late fees. If you thought the age of streaming got us around that — guess again, apparently. 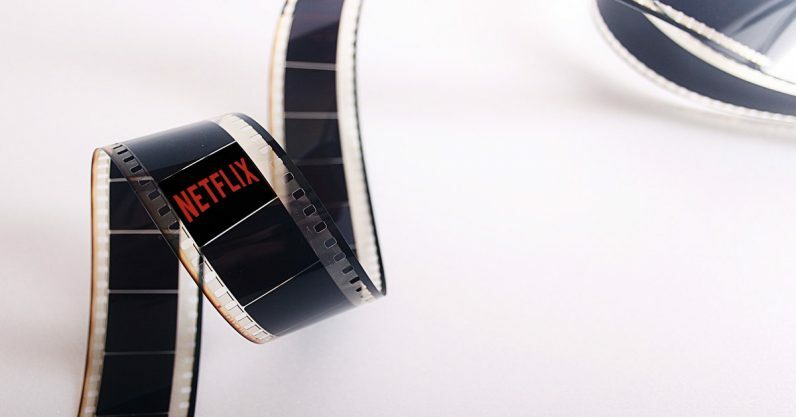 The vast majority of the movies are available via Netflix‘s DVD service, but comparatively few Netflix users subscribe to that service (although I maintain there should be more, darn it). Netflix also swaps out the movies available in its streaming library regularly, but unless it suddenly catches ClassicFilm-itis, I don’t foresee it adding significantly to the current tally. The titles may change, but I doubt the number will go far in either direction. I’m aware there are services that cater to cinephiles — TCM’s Filmstruck, for example. But I’m already paying for four different film streaming services — I don’t want to pay more to be able to see the good films. Suppose I’m a kid born in the mid 00s? Netflix would probably be the primary way I watch film at home. Imagine the disappointment of knowing it doesn’t provide much in the way of classics. If you want to get your fill of the best in the history of movies, it might not be as easy as you would think given the plethora of options at our disposal. For wannabe cinephiles, it looks like you’ll have to invest a little extra money, either in Amazon rentals, Netflix’s DVD service, or a different site entirely.